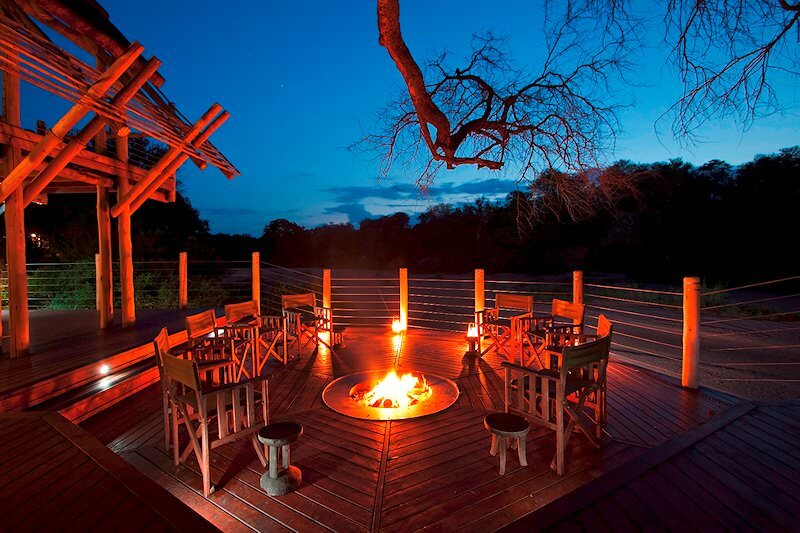 Rhino Post Safari Lodge is a five star lodge in the heart of the Kruger National Park. 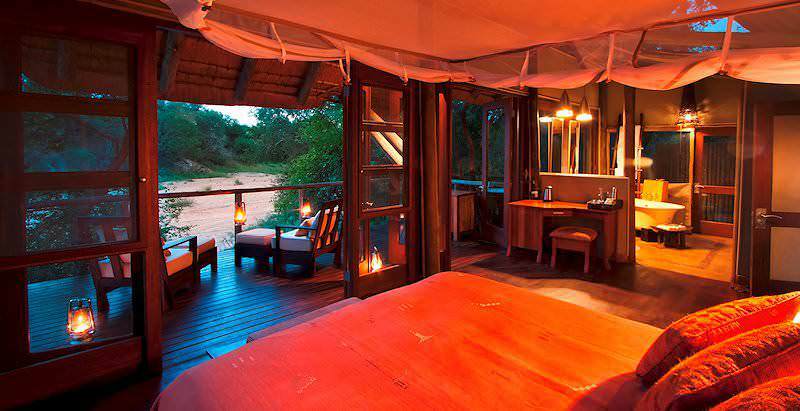 Rhino Post Safari Lodge is situated a mere 20-minute drive from Skukuza in the Kruger National Park. 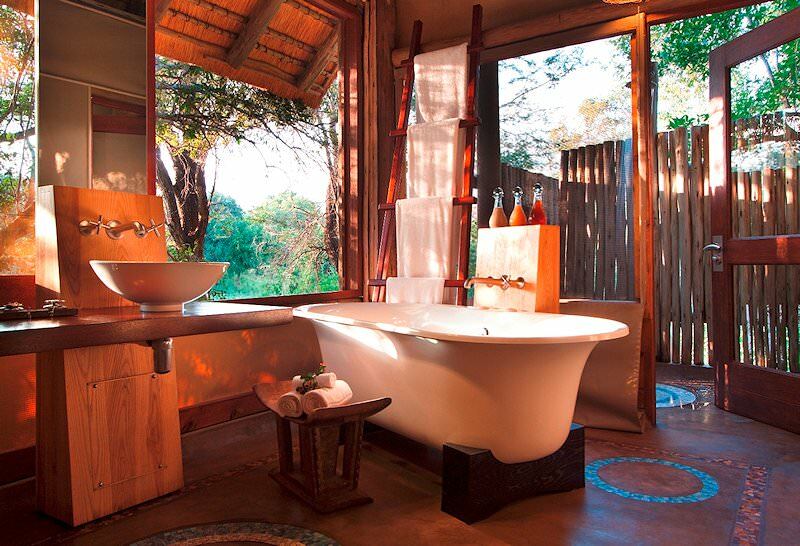 Making use of all natural materials, such as wood, stone and canvas, Rhino Post Safari Lodge is constructed raised above ground with no concrete, leaving a very small footprint on the ecology of the Kruger Park. Adhering to the modern ideas of minimal environmental impact, Rhino Post Safari Lodge creates an atmosphere of natural wonder and interaction with nature, but still remaining a luxury Kruger Park safari lodge. 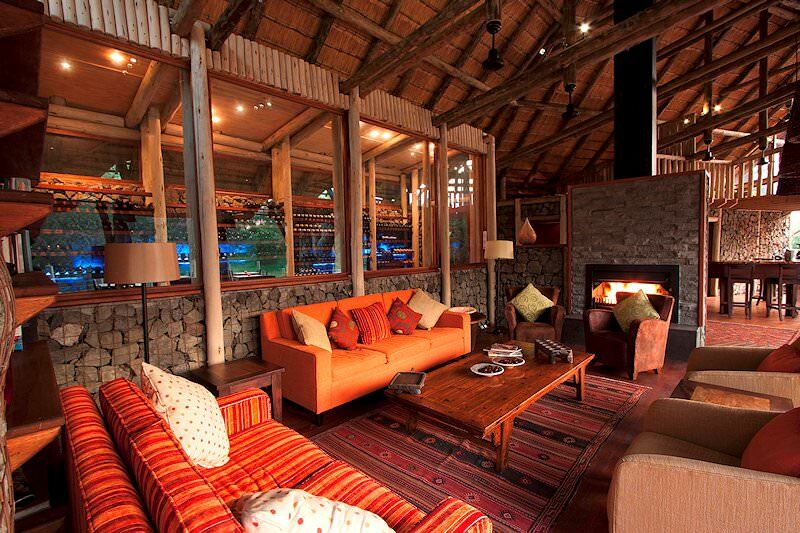 The lodge can only accommodate 16 guests, enabling privacy and seclusion. Each suite has a lounge and an en suite bathroom, with wonderful views of the Mutlumuvi River's edge from the bathroom, outdoor shower and outside deck. The outstanding cuisine is served in the dining area, while a wine cellar, bar, fireplace and swimming pool are conduits for relaxing end of the day drinks. The lodge lies in a private concession in Kruger Park, which allows for exclusive private game drives, where guests will not be competing for the best spot with noisy tourists to view lions feeding. Rhino Post Safari Lodge is the premier destination for those looking for a luxury Kruger Park safari, whilst being aware of their impact on the environment. Guests fly to Nelspruit via OR Tambo International Airport and are transferred to the Rhino Post Safari Lodge in the Kruger National Park for their safari in South Africa's most famous wildlife reserve. 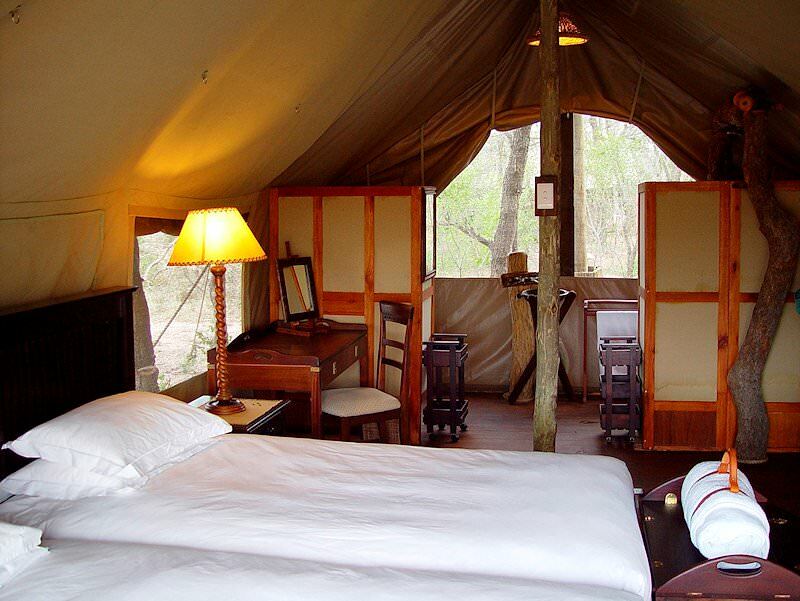 The camp is situated in its own private concession within the park and shares a 15km unfenced boundary with Sabi Sand and Mala Mala. 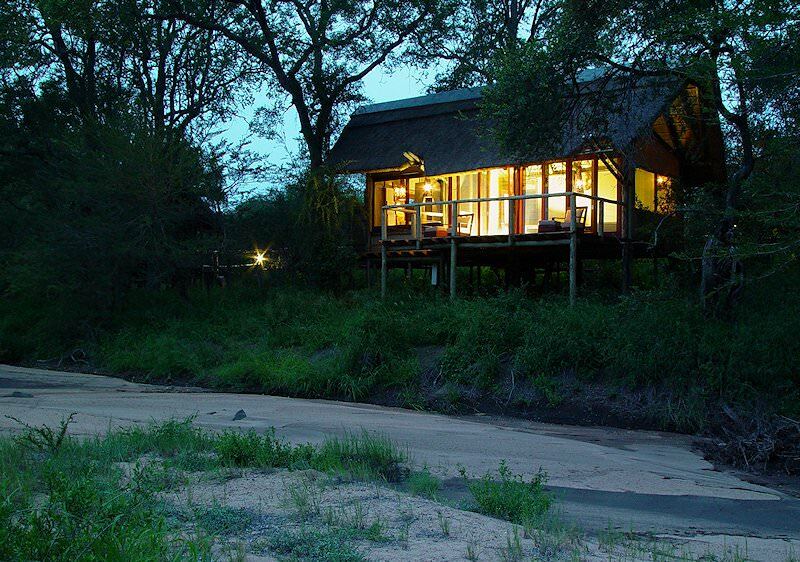 Overlooking the Mutlumuvi riverbed, Rhino Post offers unbridled views of the surrounding wilderness. 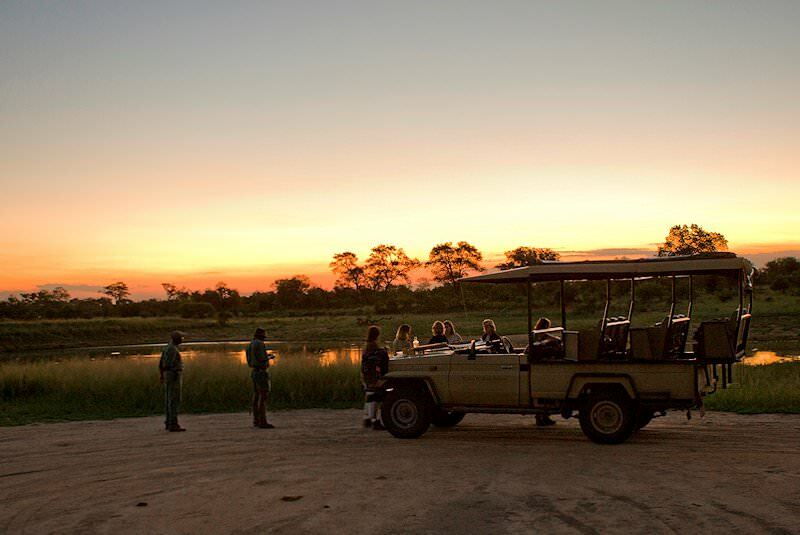 The lodge's location ensures that the twice-daily game drives are peppered with fantastic sightings, including wild encounters with the Big Five. 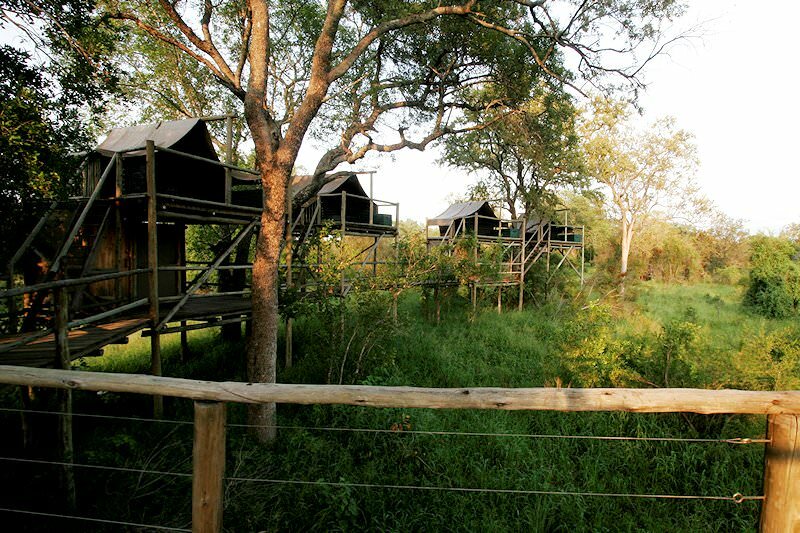 For surplus magic throughout your safari, opt for a walking safari in the concession or a ‘sleep-out’ in the treehouse. 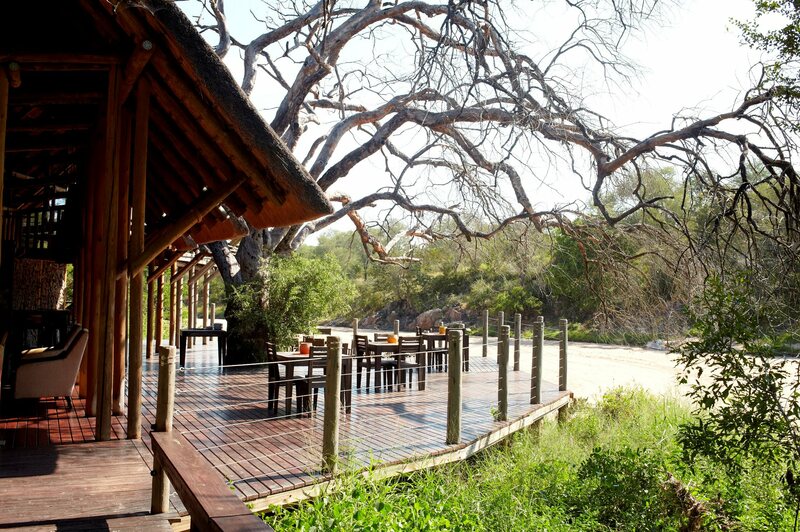 Back at camp, guests can relax in the swimming pool or observe wildlife in the riverbed. 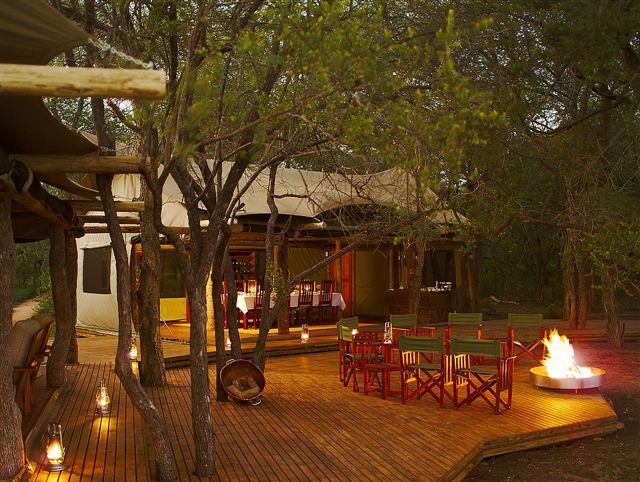 Dinner time is a fireside event under a canopy of Tamboti trees and stars. South Africa hosts a fine collection of private reserves and national parks. 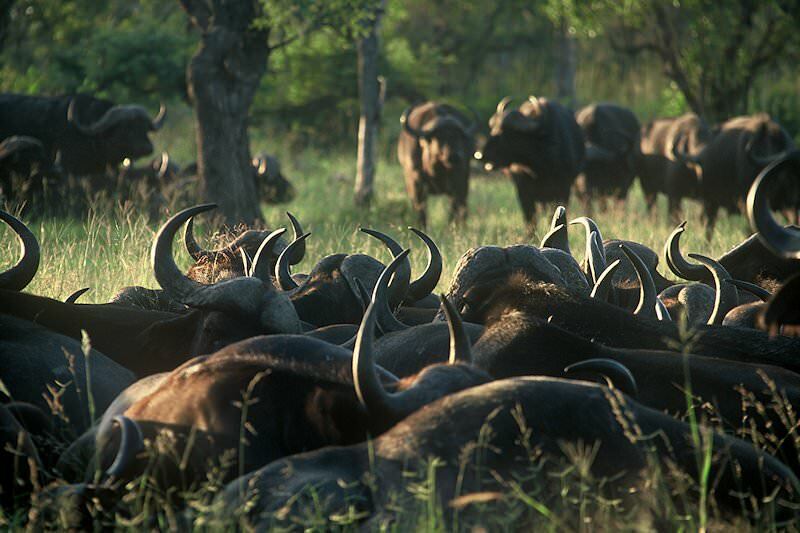 Botswana is home to immense wilderness areas like the Central Kalahari and Chobe. Namibia is a vast desert country with unique safari destinations like Sossusvlei and Etosha. 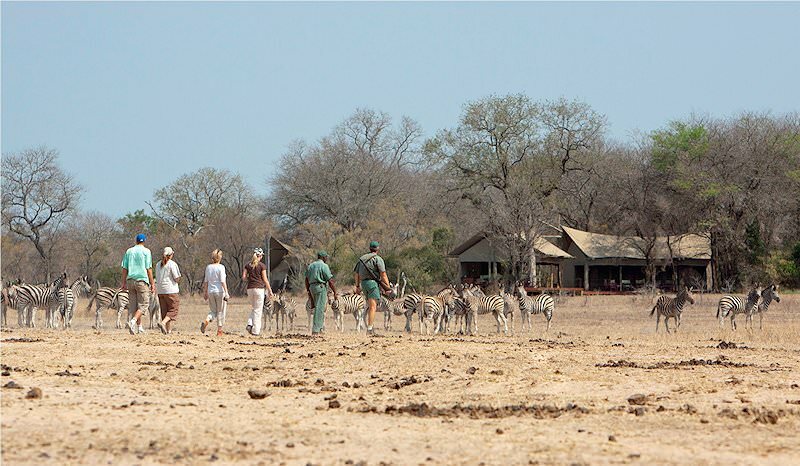 Zambia's national parks may be remote, but the safaris make the journey worth it. Travel to Zimbabwe for a heart-stopping glimpse of the world-renowned Victoria Falls. 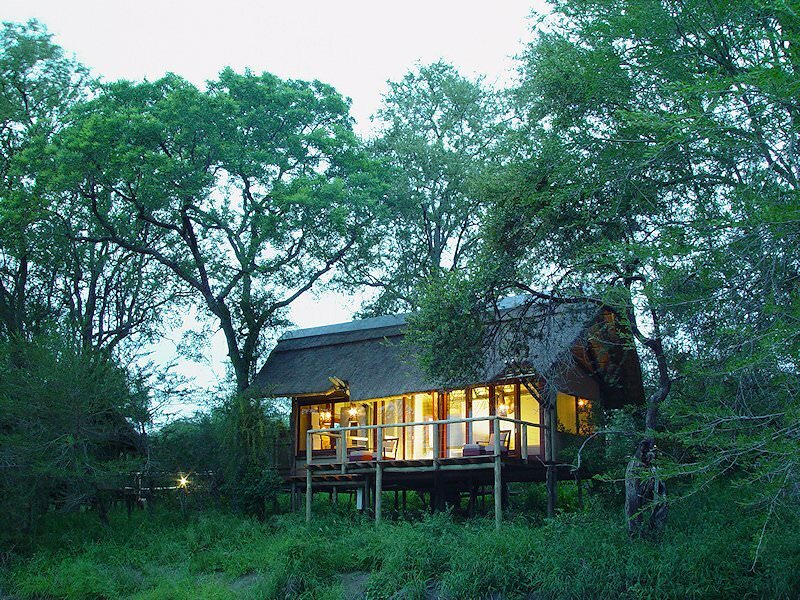 The Greater Kruger National Park offers a wide scope of accommodation options, from the park's rest camps to private safari lodges. Our luxury safaris include some of the most illustrious lodges in the world, from the Okavango Delta to the Sabi Sand Private Game Reserve. Our Big Five safaris typically explore wilderness areas in South Africa, like the Eastern Cape's Addo and Shamwari, and the Greater Kruger in the lowveld. A wide range of African lodges feature in our packages, from tented camps in Botswana to lavish desert outposts in Namibia.